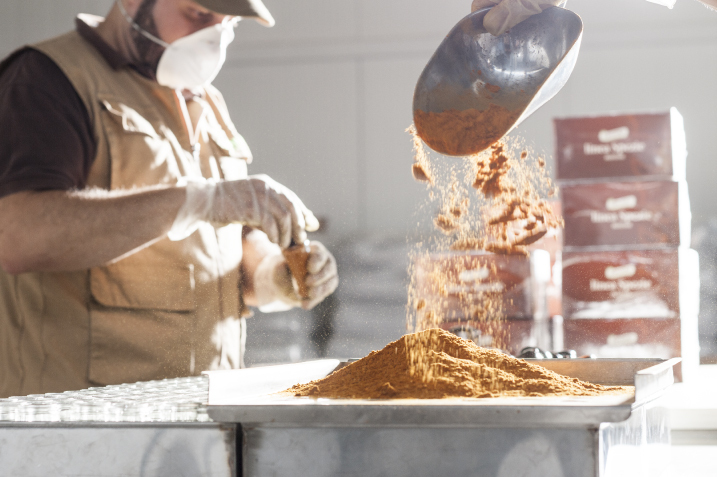 With fifty years of experience in the industry, today we produce seasonings and flavourings for a quality cuisine, as well as mixes of the best spices from all around the world. 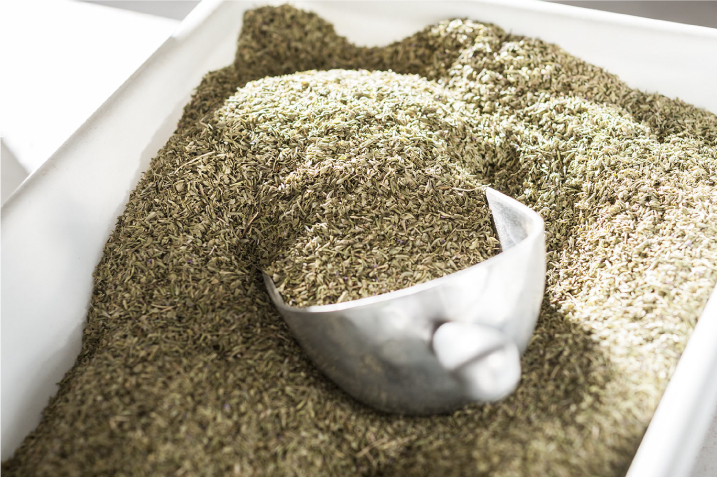 Spices and aromatic herbs are our calling. Our excellent products are supplied to both small local retailers and to national large-scale distributors and are often chosen by many food companies to make their produce more special. Our experience is highly consolidated, and together with the quality of raw materials and the wide range of products it preserves us among the best national brands in this industry. 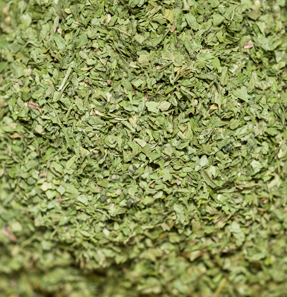 The quality and assortment of our seasonings and flavourings are well guaranteed. They are available both at small local retailers and large supermarket chains. 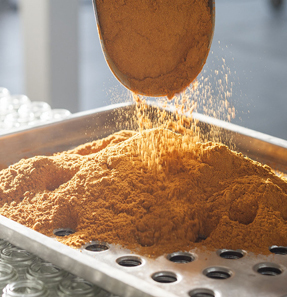 Having been in the world of spices for almost fifty years, we owe today’s success of the company to our passion and experience. The small factory we had at the beginning has become an innovative manufacturing facility where only selected spices are despatched daily. They make up our product lines of flavourings, mixes and seasonings which bring the different tastes of the world onto your table. Great professionalism and focus on the innovation are the basic ingredients of our company. 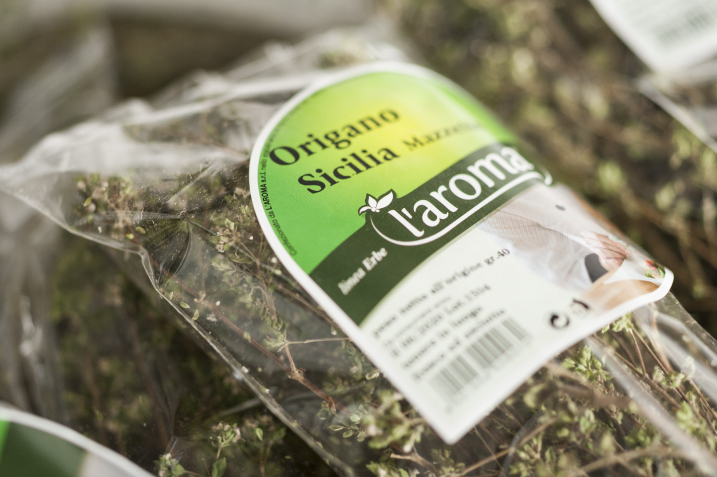 We try to match changing tastes, the fashion of dishes and new herbs, keeping always in mind the quality. We have grown gradually but steadily. Today our flavours are appreciated everywhere. Only an outstanding quality, as that of our spices, can bring all the flavours and tastes of distant lands onto the table. Processed spices annually, coming from all around the world..
to local retailers and department store chains. Divided in 5 product lines. 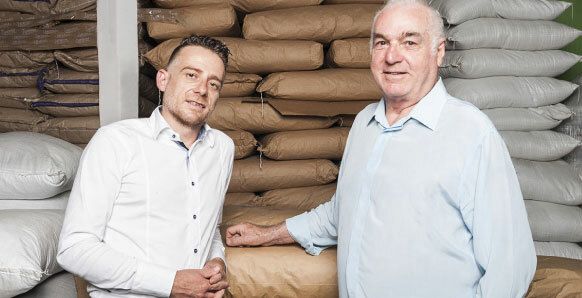 We can boast an almost fifty-year-long history of growing experience and deep knowledge of the industry. It is these deeply-rooted guarantees that have always allowed us to keep up with the times, by interpreting and often foreseeing the tastes of consumers to whom we offer the largest selection of herbs and spices in order to satisfy every kind of request and need. 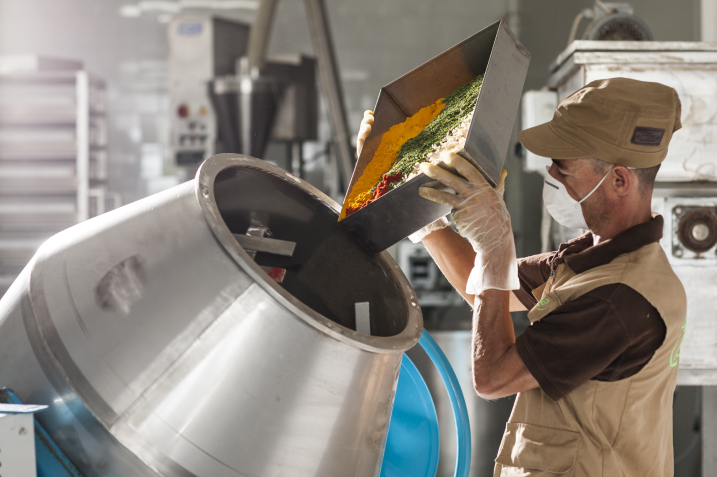 Strict and careful controls at every stage of processing maintain the flavour of all our products intact. 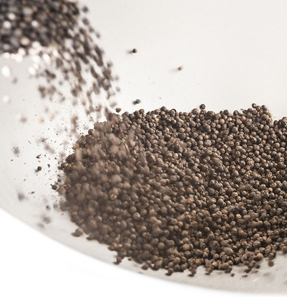 Our containers are designed to provide an easy use and an excellent quality of our spices. In these years we have restyled our products, never ceasing to take up the challenges set by the market demands. We try to foresee our customers’ choices, keeping the product range in line with their tastes. 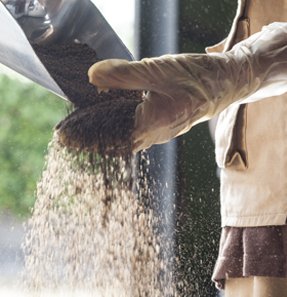 Obtaining organic certification means respecting the EC Reg. 834/2007, which defines the production, transformation, labeling, control and certification system in the European Union. A rigorous verification process, repeated over time, guarantees that from the beginning of production to transport and distribution for sale, the product meets a series of specific rules to protect the consumer and respecting the agrosystem and the environment. BRC standard (Technical Standard and Protocol for Companies Supplying Retailer Branded Food Products) together with IFS Standard represent the most widespread operational tool used by all actors in the food chain in order to qualify their suppliers by reducing total costs of the production process and increasing the level of safety. Such products meet the well-defined quality standards related to production processes, working environments and the employment of resources. International Food Standard (IFS) is the equivalent of BRC designed for Central European countries (Austria, Switzerland, France, and Germany). Developed by BDH (The Federal Union of German business associations), a consortium including the key retailers of Central Europe, together with BRC it has become today an internationally acclaimed standard certifying quality in the supply chain of products destined for large-scale retailers. Kosher (in Hebrew ‘in compliance with law’) is a set of religious rules which determine the eating habits of observant Jews. Kosher certification therefore constitutes an efficient tool which shows that the company makes its own products in conformity with dieting rules required by the Jewish religion. 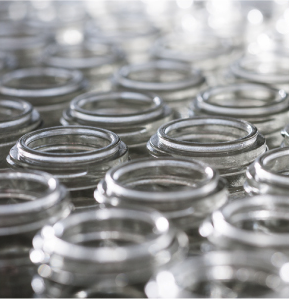 It is one of the best and strictest standards proving reliability of ingredient analysis. ISO 9001 standard represents a set of regulations issued by the International Organization for Standardization (ISO) which are today recognized by more than 180 countries and over one million certified organizations as quality and guarantee guidelines in international trade. Having ISO 9001 certification means that a company has adopted a quality management system which attests that all business processes and related products are in compliance with mandatory contractual and technical requirements. Discover a world of flavours and taste for your kitchen with our spice newsletter. Browse the catalog and discover our world. Download it is easy and fast.